Shouldn't she be wearing some goggles? 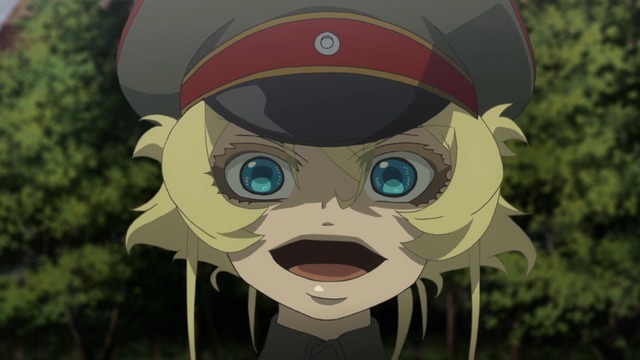 On its face, Youjo Senki (The Saga of Tanya the Evil) should be absolute light-novel garbage. According to those who have investigated the source material, the original light novel really is the sonorous trash you get in these sorts of reincarnation stories. The actual execution, though, is surprisingly deft. And while its appeal is somewhat niche, it does appeal to me, and it safely stays out of the uncanny valley of military anime. Notably, the air battles are quite good, and are a great deal more satisfying than what we got from Brave Witches or Strike Witches. It's easy to accept this is the way witches and warlocks might fight, particularly when one is clearly stronger than the others. 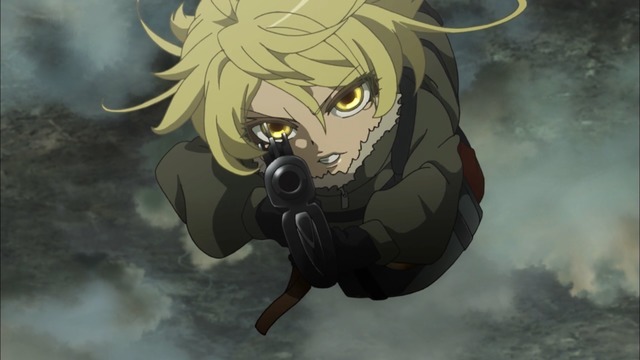 However, there's still the issue of Tanya's backstory. Through two episodes at least, there's not really a compelling reason why she needs to be a reincarnated Japanese salaryman. I can at least appreciate that the flashback to her previous death was executed in a clever way. Then again, at this point, just not getting hit by a truck sort of qualifies as being somewhat clever by default. Possibly the story will actually include Tanya's past life's corporate experience as a way to improve her chances on the battlefield, but I'm not expecting any sort of Moshidora epiphanies. Really, trying to make a Moshidora connection to Youjo Senki is tenuous at best, and I confess I only bring it up here and in the title of this post so I can pretend to casually mention I read an 800-page Peter Drucker book from the '70s in 2011 for a baseball anime which hardly anyone watched. Good times.